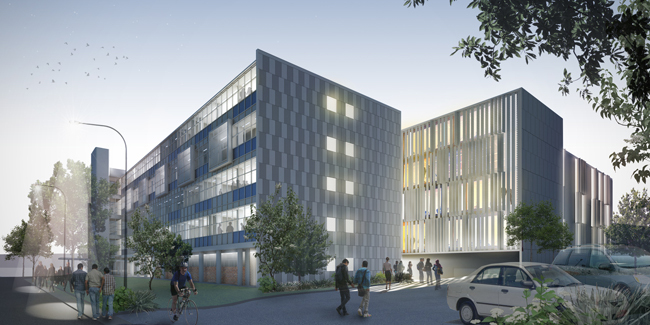 The University of Otago Faculty of Dentistry dean is confident the school's new clinical services building in Dunedin will be ready for handover in December. Prof Paul Brunton said it would be "fantastic'' to eventually have both the redeveloped Dunedin complex and the South Auckland campus up and running. "It will be the biggest dental school in the southern hemisphere,'' he said. The dental school also has a clinic at Te Kaika health centre in Caversham. Nearly 300 people and five laboratories are being "decanted'' from the faculty's Walsh Building, and moved to other locations around the campus. Once the new building was finished, the remaining clinics held in the Walsh Building would be relocated there. The empty Walsh Building would be refurbished and research, academic, and student support staff would return to the building, where teaching laboratories would be located. The clinical services building, work on which was delayed last year due to adverse ground conditions, would be linked to the Walsh Building by an 1800sq m atrium. University chief operating officer Stephen Willis said whether the project, originally estimated to cost $130million, was tracking to budget would not be known until the Walsh Building was empty.